As a shopper, few things feel more satisfying than getting rewarded for your love of buying new things. This truth is multiplied when it’s applied to the luxury of shoe shopping. So naturally, we feel it’s in your best interest to know that DSW just launched a new VIP rewards program that is a total game-changer. If you want to ease some of the guilt around your avid appreciation of wearable shoe art, then you’ve come to the right place. The illustrious VIP rewards program includes three tiers: VIP Club (completely free), VIP Gold (you spend $200 annually), VIP Elite (you spend $500 annually). All three levels guarantee you free shipping on all orders, free in-store returns, a $5 birthday reward (VIP Elite members get $10), and 50 points for every pair of shoes you donate or recycle through the DSW drop boxes, which are located in the stores. 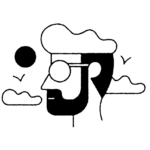 The shoe donation option is especially lovely for those of us who want to be eco-friendly while feeding our love of shoes. Let’s be real, it’s a priority that is increasingly important given the state of the world. Plus, getting reward points for an eco-friendly habit feels like a true win-win. However, you may be wondering: what exactly do the reward points do? For every 100 points accrued, members receive a $5 reward. If you donate two pairs of shoes, you’d get a $5 reward. You can also collect points through your shopping sprees at DSW. VIP Club and Gold members earn one point for each $1 spent, and VIP Elite members gain two points for each $1. If you become an Elite member, you basically get $10 back for every $100 you spend, and trust us, this adds up quickly. 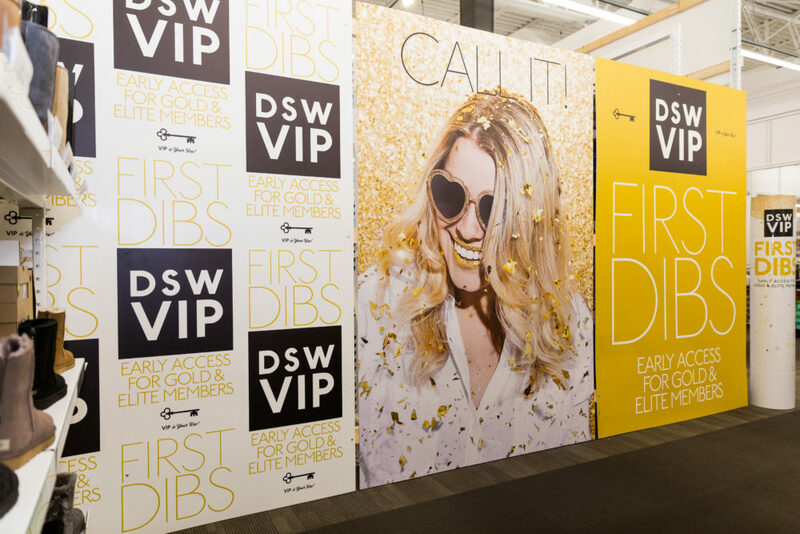 To truly up the ante when it comes to spoiling loyal shoppers, DSW is offering VIP Gold and Elite members two annual $5 birthday gifts to give to friends, as well as the option for free online returns. So now you can make shopping moves from the comfort of your couch without paying extra. However, in our humble opinion, the best benefits given to VIP Gold and Elite members include exclusive access to over 40 styles of new shoe and handbag releases (the early bird gets the stiletto), as well as invitations to VIP events. The last, but certainly not least, of the perks available to VIP Gold and Elite Members are the double point days. VIP Gold members get two days a year where their point rewards count DOUBLE (a $5 reward is $10, etc.) and VIP Elite members get two double point days and one triple point day. Um, yes to all of that. To add to all of this, the ways DSW is transforming its brick-and-mortar stores is super luxe. As part of its rebranding, DSW is now revamping its in-store displays to show you more shoes, while also sorting and curating the shoes into different “style stories.” Beyond being pretty, these displays help make the process of finding your styles less overwhelming, and they create an Instagram-friendly shopping environment. For the purpose of this article, we toured the DSW Polaris Lab store in Columbus, Ohio, and saw the pilot example of how the company plans to restructure its stores. At all three Columbus locations, DSW now offers in-store repairs. 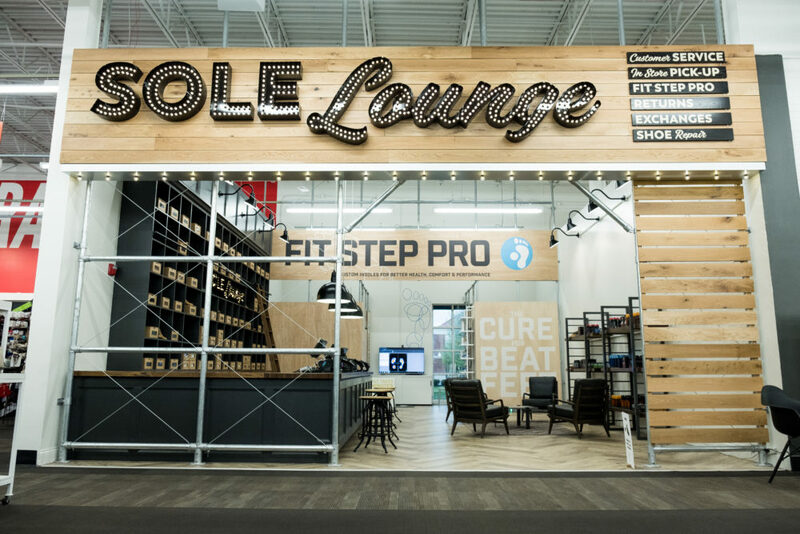 The Sole Lounge lets shoppers make customized in-soles (it scans your foot and everything) and you can drop off shoes for repair (they don’t have to be from DSW). 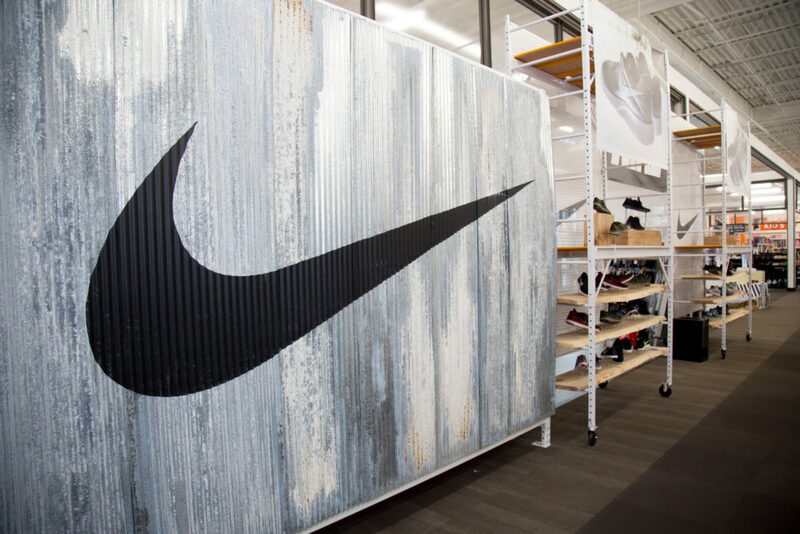 While this addition is currently only available in three Ohio locations, DSW plans to expand this feature in the near future. The Polaris store includes a nail bar. Yes, you read that right. 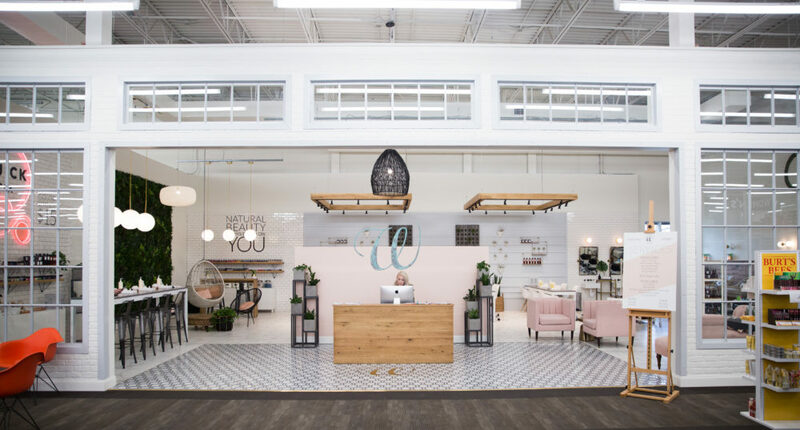 The lovely W Nail Bar is a local Columbus mainstay, and sisters and co-founders Lauren Hunter and Manda Mason recently joined forces with DSW to create a more luxurious shopping experience. With their assortment of home-made vegan nail polishes and gel options galore (great for a quick dry before trying on some shoes), the W Nail Bar adds a whole new level of opulence. While this particular Columbus location is currently the only one boasting a nail bar, plans for expansion are brewing. All of these new changes were fueled by member feedback. If you were wondering how exactly DSW conceived of all these changes, the answer is pretty simple: they took advice from their shoppers. By looking at member feedback, DSW was able to figure out some of the priorities of the shoe-loving masses. The ability to rack up rewards points faster, having donation and recycling options and fun shoe layouts were all at the top of the list. The whole model is based on the premise that fun, convenience, affordability, and feelings of glamour aren’t mutually exclusive. We think they knocked it out of the park.